For both dancers and artistic directors, it is a hard balance between learning new choreography and performing repertoire. Whilst it is important to advance the art form and to continue to push the boundaries of where dance sits within the wider artistic industry, but equally the act of looking backwards nods to dance history and keeping legacies alive. For companies, they must balance programming existing repertory – which is of course a safer choice in terms of audience popularity – and introducing new works to both the dancers and loyal theatregoers. Often the safe repertoire choices earn enough to cover any losses associated with new work which may not have as much as appeal. The same can be said for critics too – they appreciate the need to perform historic works and keep them alive, but equally to push forward to perform new works by new choreographers. From a dancer’s perspective, it’s not just about the end product of the performance on stage, but also the process of getting the work to the stage and going through the rehearsal process. Completing a ballet from the classical canon can be an achievement in itself, with this established repertoire having the advantage of being tried and tested. 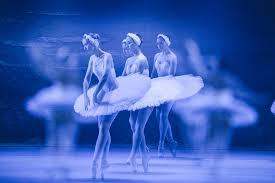 It is almost a benchmark for other rehearsal processes and performances – some dancers (and artistic directors) even feel you cannot call yourself a ballerina if you have not completed the artistic and technical demands of traditional classical repertoire, such as Swan Lake, The Sleeping Beauty and Giselle. However, experiencing new works helps to vary dancers’ training and work, extending their practice and promoting them to think about dance in a very different way. Additionally, this way, up and coming choreographers are given huge opportunities to work with dance companies in a way they may not be used to, challenging all dance perspectives in order to provide a different view point of dance and audience experience.